Whether or not Blake Shelton is in fact “the most interesting man in country music,” as his tongue-in-cheek promotional campaign claims, is debatable. But he indisputably is having a career year: Crowned CMA Male Vocalist of the Year, he had a digital platinum single with his multi-week Number 1 hit, “Honey Bee;” he became a household name thanks to his starring role as one of the four vocal coaches on NBC’s hit show, “The Voice,” (which has been renewed for a second season); and, of course, he married reigning CMA Female Vocalist of the Year Miranda Lambert. His new album, Red River Blue should do nothing to slow his momentum. With state-of-the-art production by Scott Hendricks and Grade A Music Row hit material from the top of Nashville’s songwriting heap, including Craig Wiseman, Rhett Akins, Ben Hayslip, Chris Stapleton, Chris DuBois, Ashley Gorley and Jon Randall, the album hits all the predictable marks and then some. Like the best country singers, Shelton’s great strength is his personal charm and storytelling ability. But are the stories up to his skill level this time? Mostly yes. The album’s second single, “God Gave Me You,” is a power ballad that is a sure bet to become a big wedding song. It hooks you with a great, simple opening line: “I’ve been a walking heartache//I’ve made a mess of me//The person that I’ve been lately//Ain’t who I wanna be.” Shelton has said he heard the song at a low point in his relationship with Lambert, and he knew he had to record it. Good instincts on his part. The tune was written by Nashville singer/songwriter Dave Barnes, whose own version of the song last year made the Christian and Adult Contemporary charts. Shelton’s powerful version of the song, which just about duplicates the original arrangement, no doubt will provide Barnes with a nice payday, if not the gratification of taking the song to the top of the charts himself. The album is leavened with two duets, one each with Miranda Lambert and Martina McBride, and in each case the strong female presence balances Shelton’s abundance of testosterone nicely. “I’m Sorry,” a power duet with McBride, has a nice hook: “Well I’m sorry but sometimes sorry//just ain’t good enough.” And the album’s closer, “Red River Blue,” an achingly sad ballad (by Ray Stephenson and Buddy Owens) sung with wife Miranda, suggests the ballads of an earlier Nashville, where a kinder, gentler song had a chance on radio. …ultimately concluding, in fine country style, that everybody’s living for the weekend, and “everybody’s dying/to get some.” This one sounds like a big ol’ hit to me, novelty category. 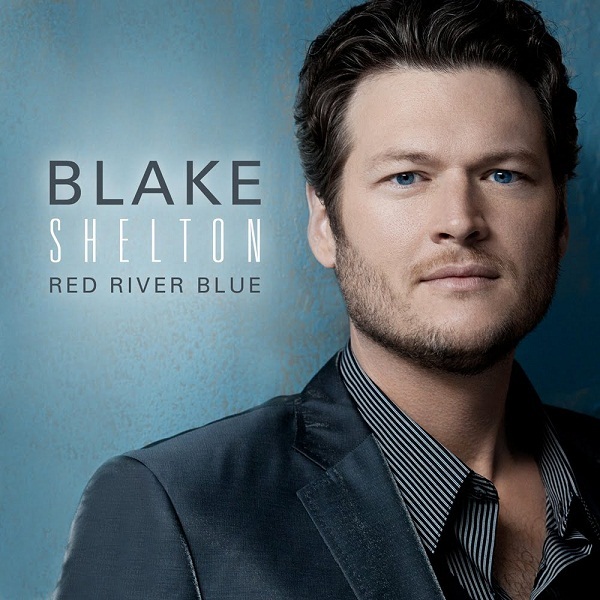 Red River Blue, alongside recent efforts by Blake’s summer tour-mate Brad Paisley and wife Miranda Lambert, pretty much defines mainstream country these days – high-quality songs, great singing and musicianship, big production, and the same time-honored, predictable six or seven themes that we’ve all heard before. Well, it doesn’t get any more country than that, if that’s your cup of sweet tea.